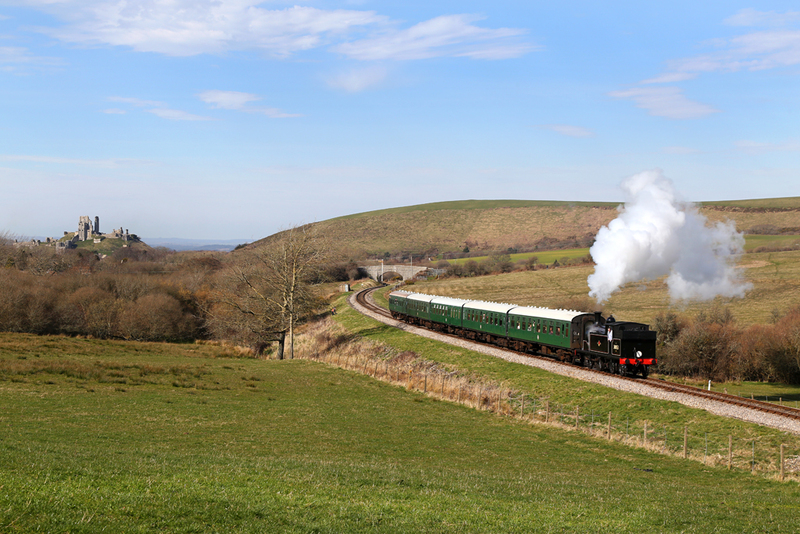 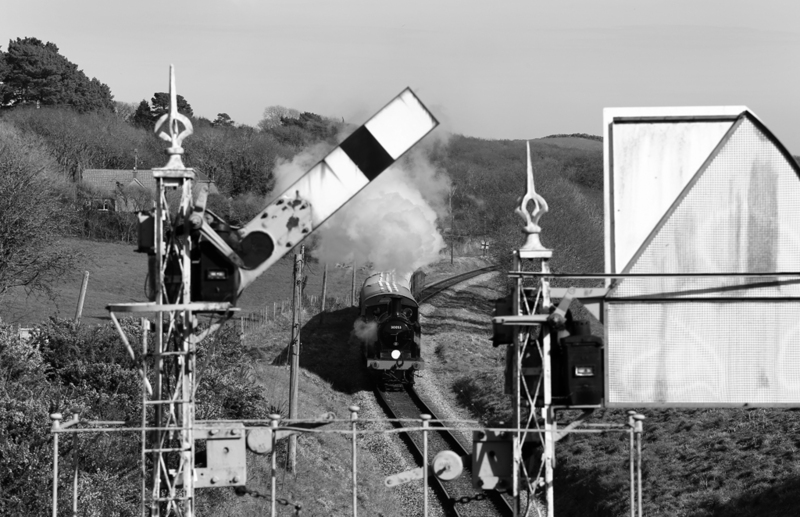 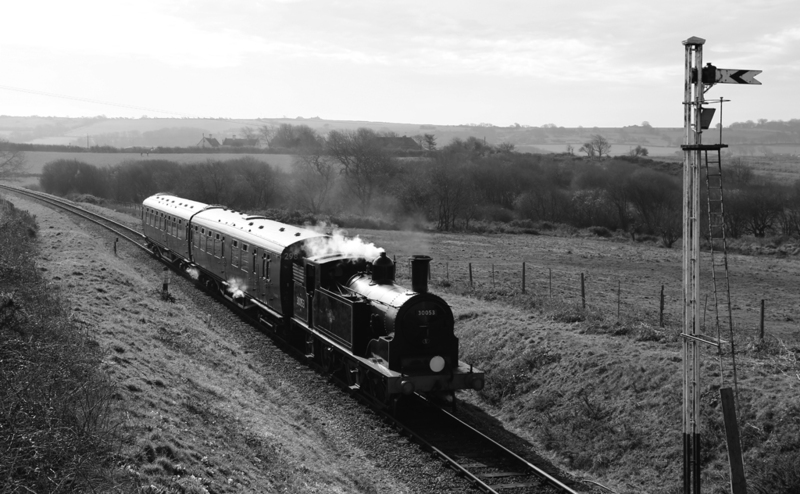 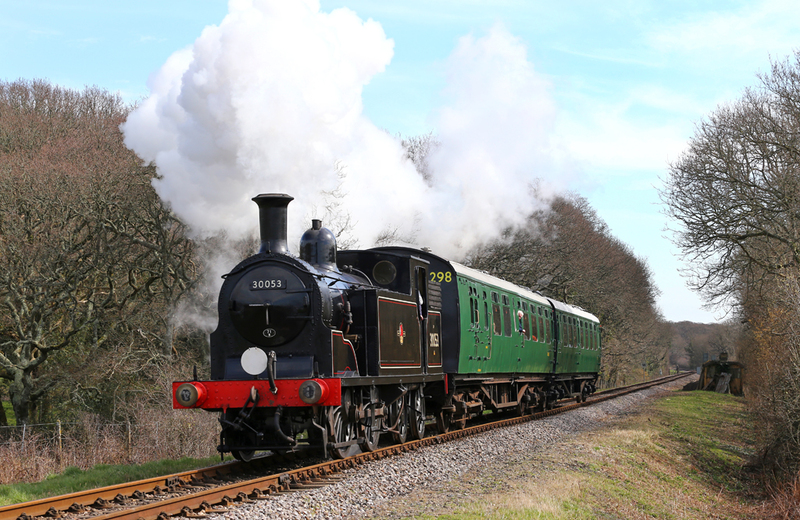 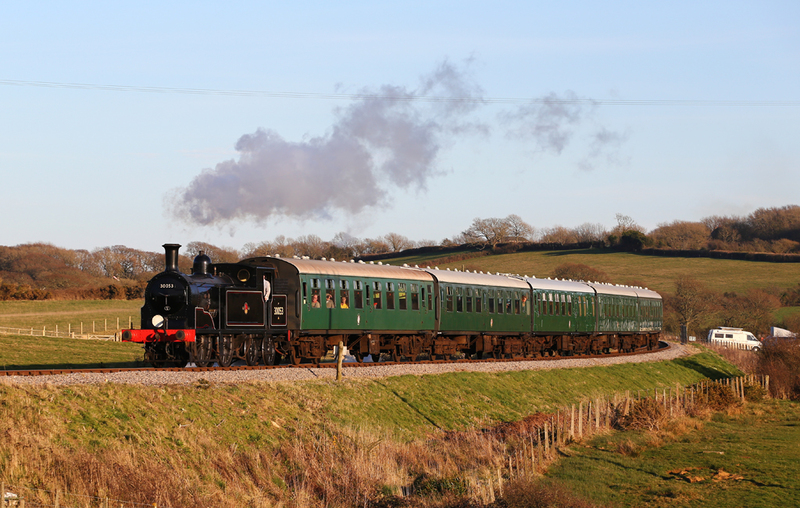 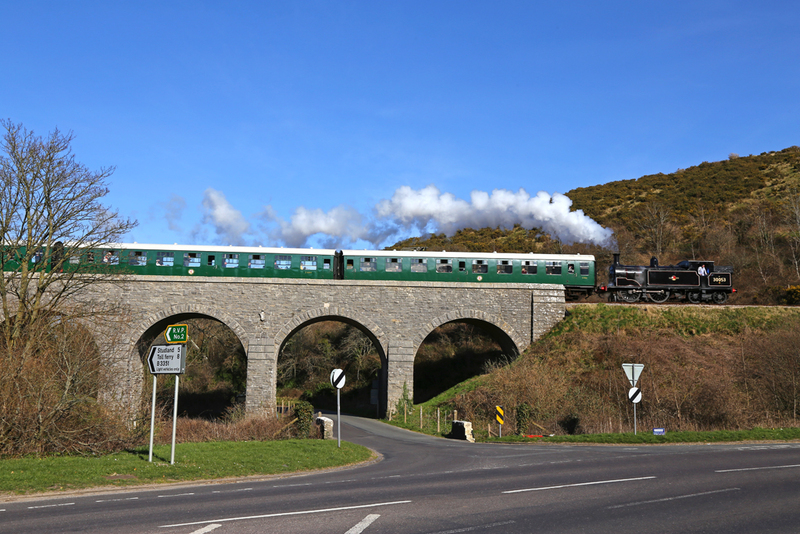 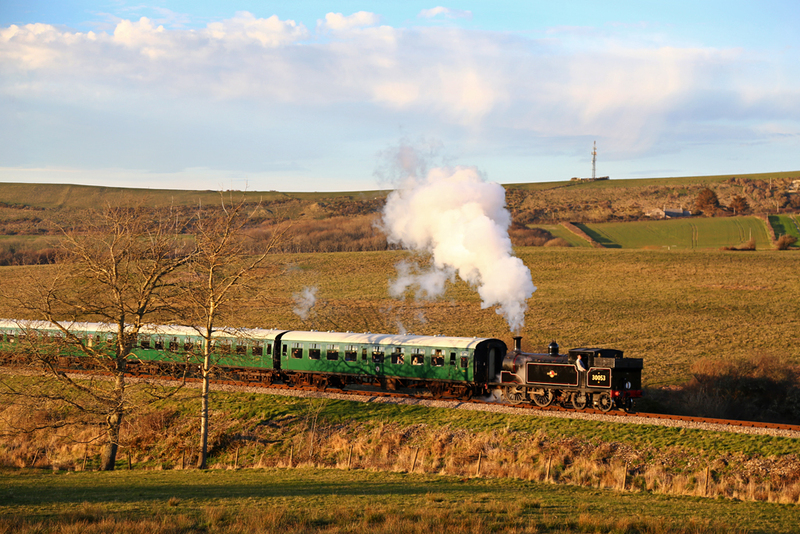 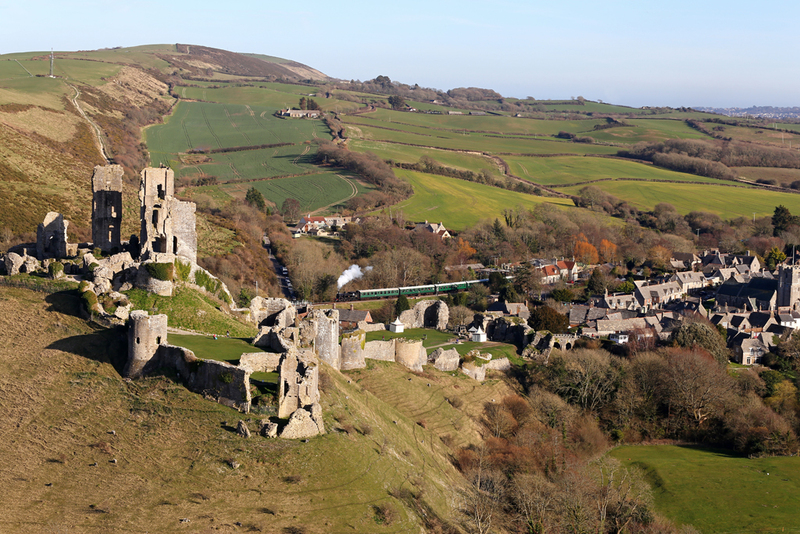 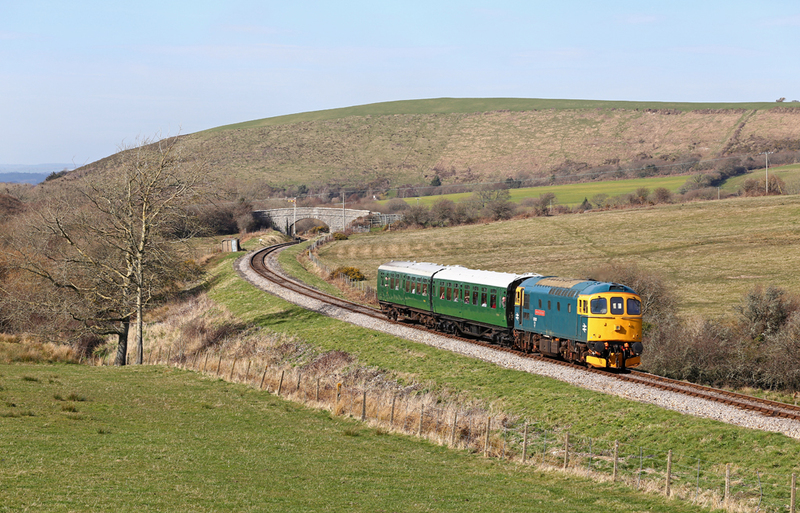 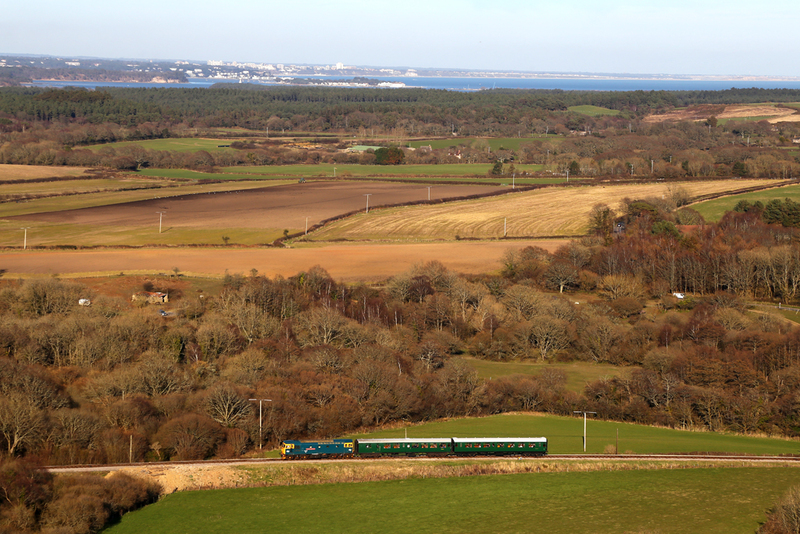 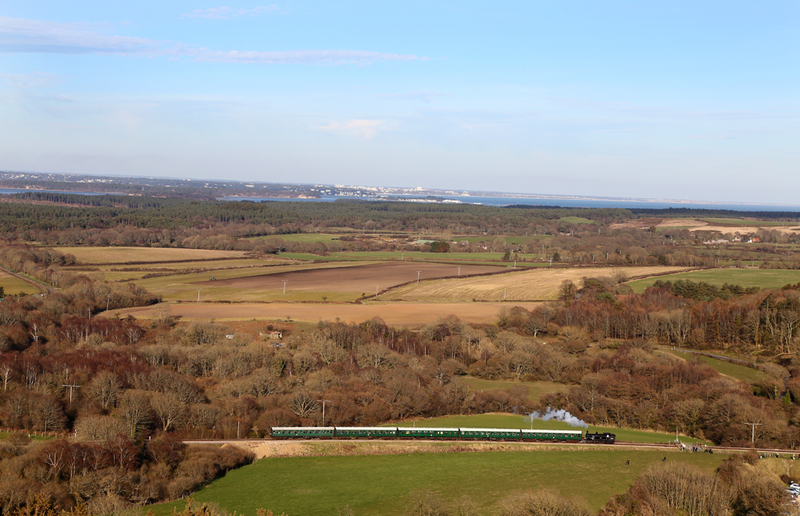 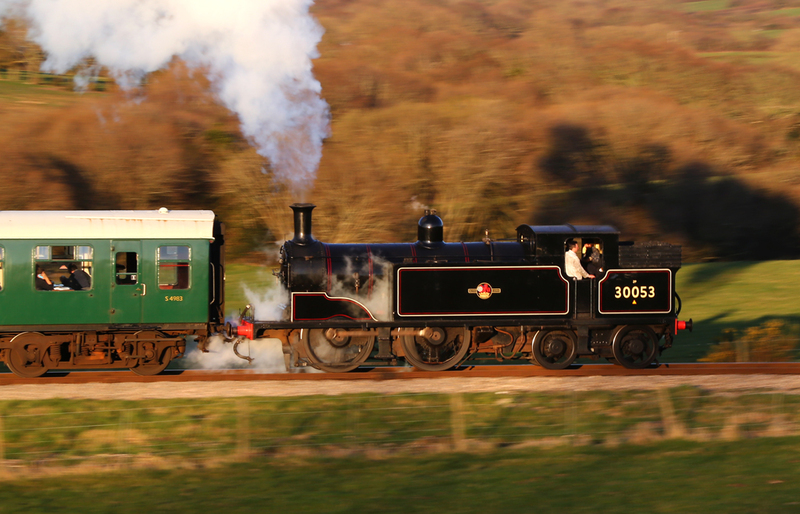 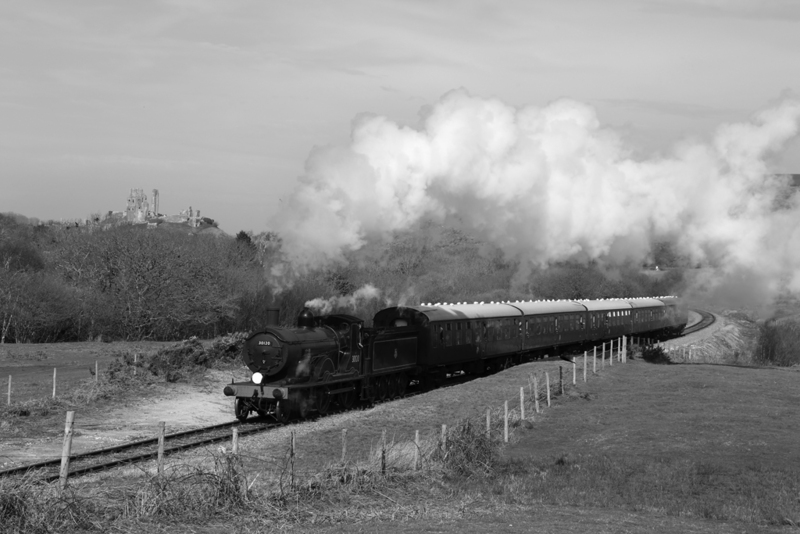 Saturday 15th & 16th saw The Swanage Railway held a small steam gala featuring two locomotives from the 'LWSR' era. 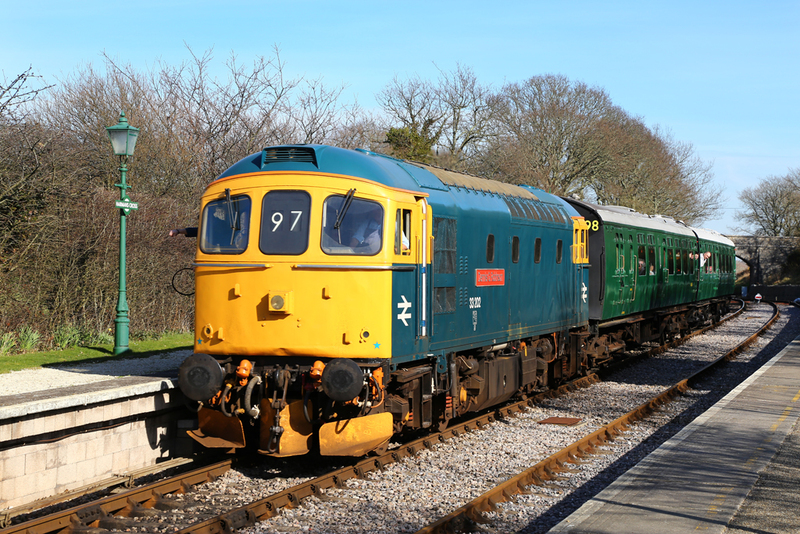 The gala was organised to coincide with the return to traffic of two restored Maunsell coaches which had been under long term restoration for nearly ten years. 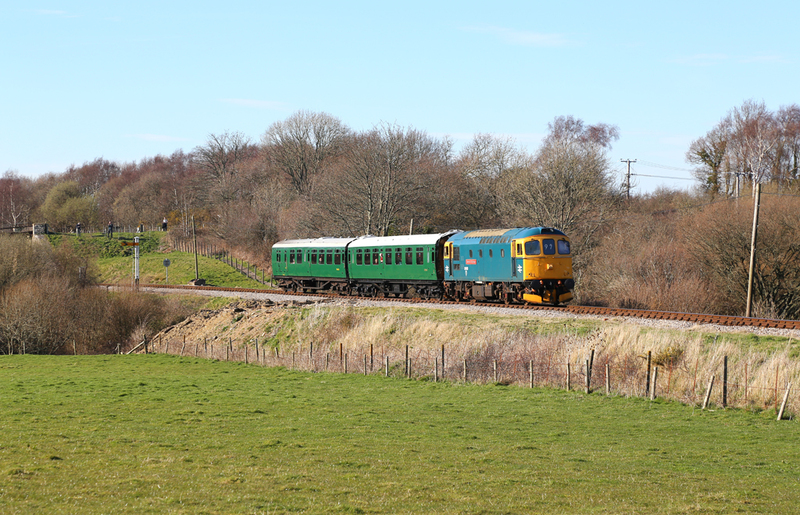 M7 No.30053 & visiting T9 No.30120 provided a two train service throughout the weekend, although injector problems on the T9 during Saturday afternoon resulted in BR Blue Class 33 Diesel No.33202 called upon to substitute. 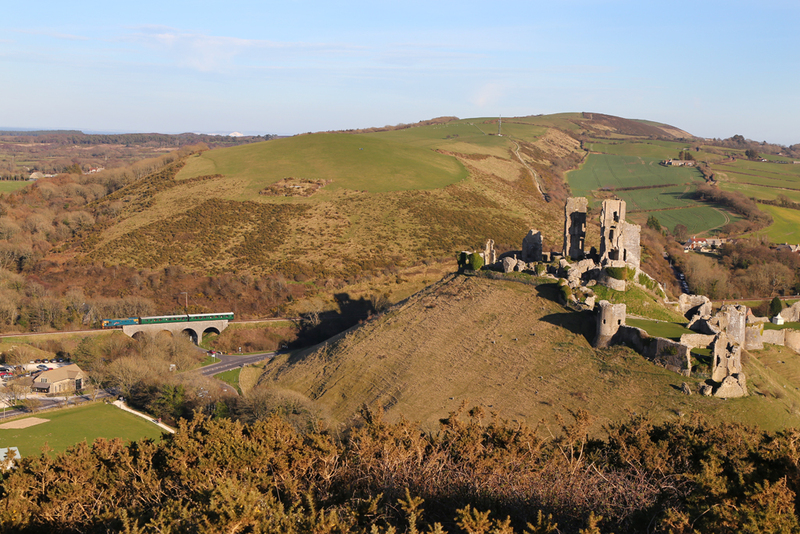 The weekend was blessed with supurb weather with a real feeling of Spring in the air after such a terrible Winter of rain, wind and floods.